How are you doing today! How is your hair today! Having a bad hair day?? Or a good hair day! I for one am very happy as today I am having a good hair day, to be very honest I have had very less bad hair days since I have started using Avocado oil for my hair! 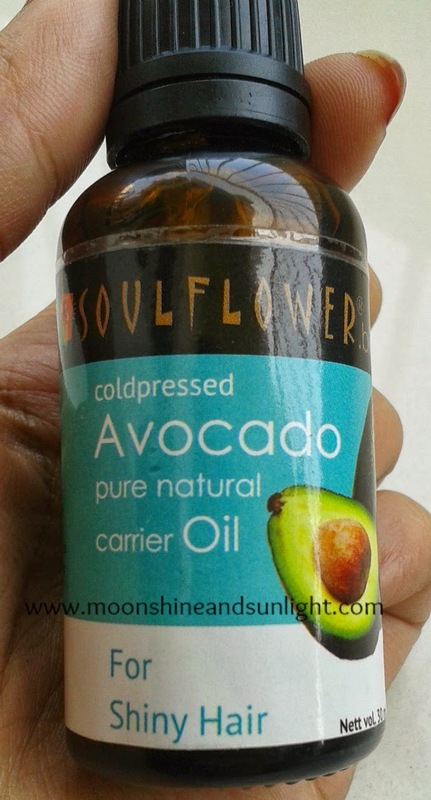 So, today I am going to tell you about Soul flower’s cold pressed avocado oil, which is carrier oil. A carrier oils are an extracted from the fatty parts and essential oils are extracted from the aromatic of partially dry parts like petals, bark etc. 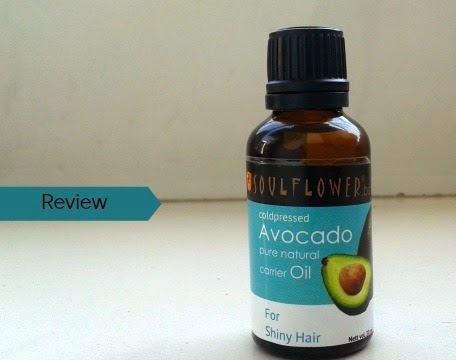 Avocado is a fruit and the oil is carrier oil, so you can use it directly on your hair. I have seen a lot of homemade hair masks made of avocado pulp, but unfortunately in India we cannot get the fruit. So, when I bought this I thought “the oil might help a bit“. I got this last month and have been using since, mixed with coconut oil. And I am happy with the results. If you have frizzy and dull hair like me, you must give it a try because it is totally worth it! Product: - The oil has no color, has high viscosity. Spreads nicely and gets absorbed into the scalp quickly. No smell. It blends easily with other essential oils. 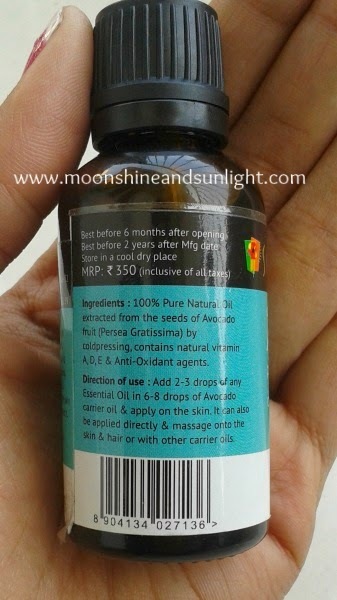 My experience: - A good quality avocado oil, makes hair shiny indeed. I would HIGHLY RECOMMEND it for everyone, especially for those who have frizzy, dull hair. Have you tried avocado oil?? Or avocado hair mask? Now I know how to keep dull hair at bay. But isn't it a bit costly? If you have not then I would ask you to ! i have tried their soap and loved it. 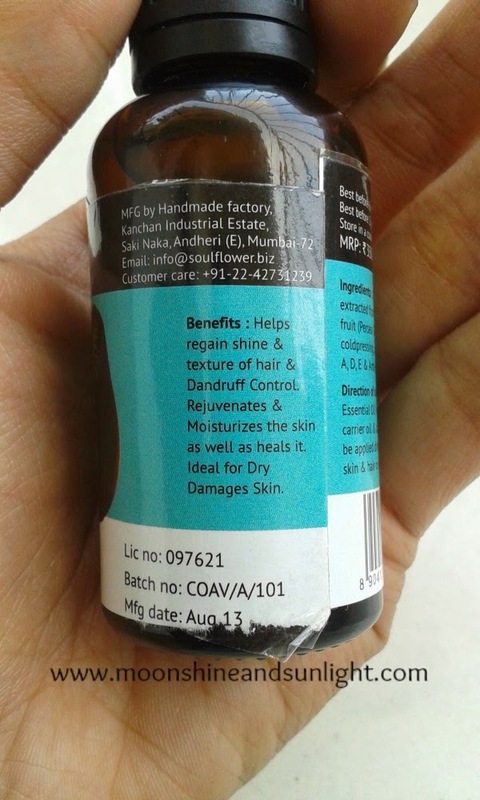 I have soulflower jojoba oil which I really love as a hair gloss. I am now keen on trying this one.